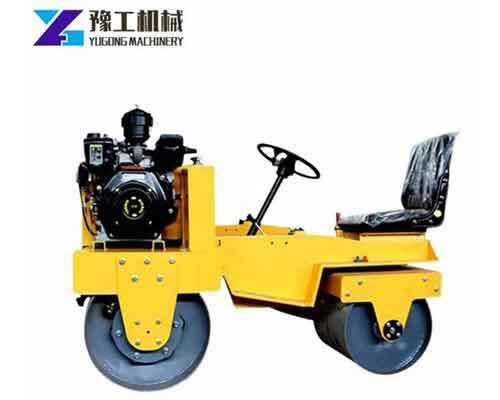 Floor scarifier is a kind of small milling machine for road construction, which is one of the main equipment for asphalt and concrete pavement maintenance. 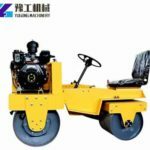 Also known as the names of concrete milling machine, asphalt milling machine, concrete scarifier machine, it is widely used in bridge deck pavement, bridge deck shearing, the removal of old road surfaces, as well as the ground operations of airport runway, parking lots, squares an some other concrete ground. 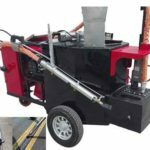 The floor scarifier can not only be used to excavate and renovate asphalt and concrete pavement such as highway, roads, airports, freight yard, but also can be used to remove some pavement surface defects. 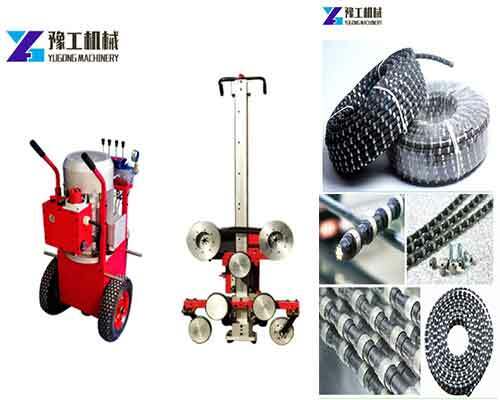 In addition, it’s also suitable for excavating the pavement pit and trench, rough the surface of cement road. 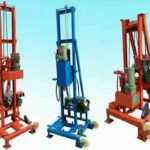 The machine can be divided into mechanical type and hydraulic type according to the transmission mode. 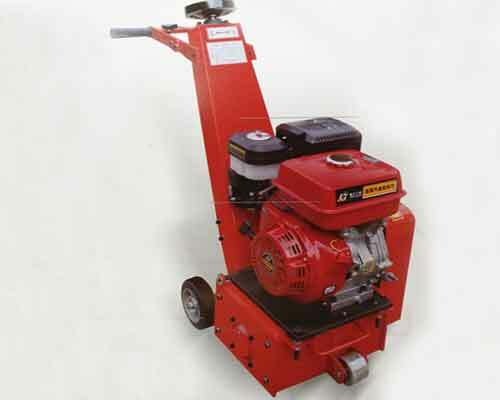 The mechanical floor scarifier is reliable in operation, convenient in maintenance, high in transmission efficiency and low in manufacturing cost, but it is a little complex in structure, not easy to operate, as well as a little low working efficiency, low traction. 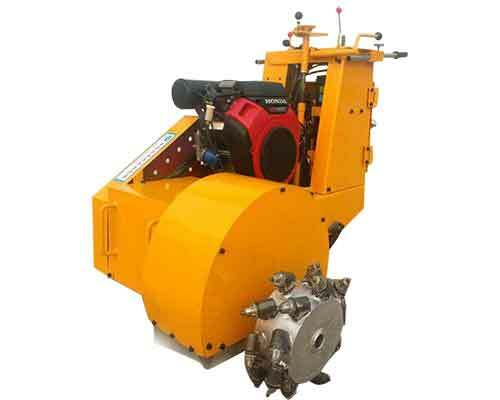 So it is more suitable for small road maintenance of shallow cutting. 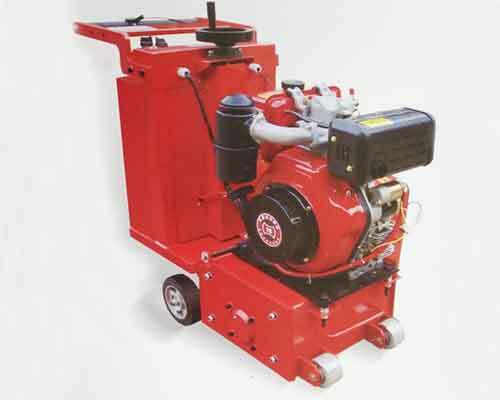 The hydraulic type is compact in structure which makes it easy to operate for workers. It also has greater traction and more maneuverability. 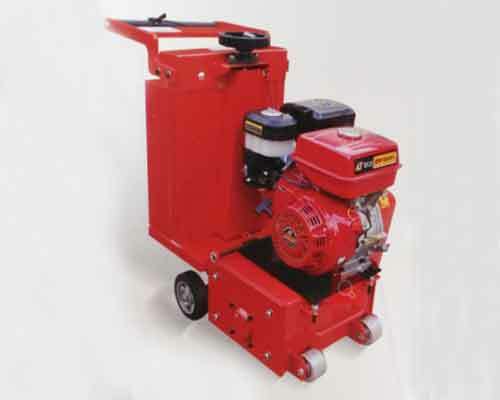 However, the manufacturing cost is high and the maintenance is difficult.So the hydraulic floor scarifier is more suitable for deep cutting of medium and large scale pavement maintenance. 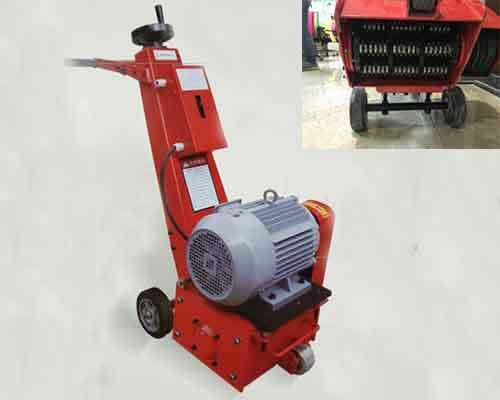 We have the walk behind electric floor scarifier and automatic walking electric scarifying machine for sale. The automatic type is more convenient and efficient, but its price is also a little high. Customers can choose the model referring to the parameters below and the budget. If you have any question, feel free to send us email or call us to consult. 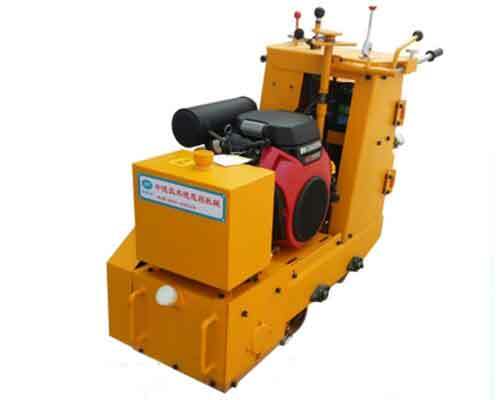 The hydraulic type is widely used in the removal of ultra-high parts of the high-strength concrete and asphalt pavement, the machine power is enough to automatically walk and the the milling depth and width is moderate. 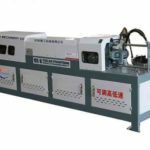 Meanwhile, the machine body is stable and the milling surface is uniform. 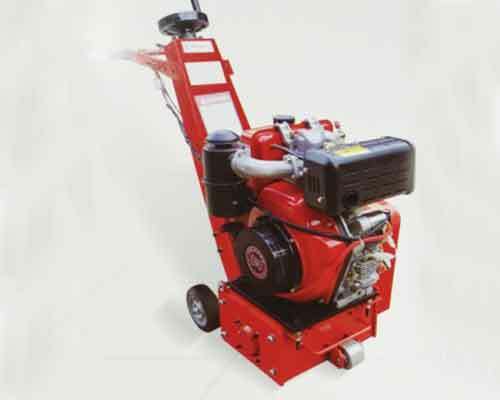 So it is an ideal scarifying machine model that some other large motor milling machine and ordinary small floor planer machine can’t replace it. 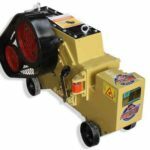 This kind of equipment contains two types: internal combustion and electric. You can choose the suitable model according to the technical specifications in the below table. 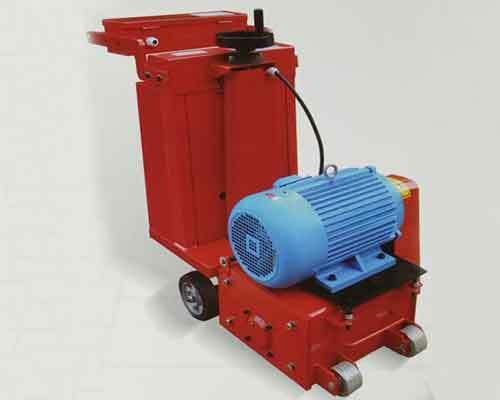 The machine is equipped with imported original equipment, full hydraulic infinitely variable speed drive. The working depth can be adjusted flexibly and it’s very stable and flexible in operation. Milling and planing the pavement, the old materials can be recycled at the same time so that new materials can be laid and the road surface can be renovated. Milling and planing the the roads to be repaired for local damage and make it a square pit groove. Then the joint will be neat and beautiful after repairing. Milling and trimming the road accumulation package, oil wave, rut and some other road problems. 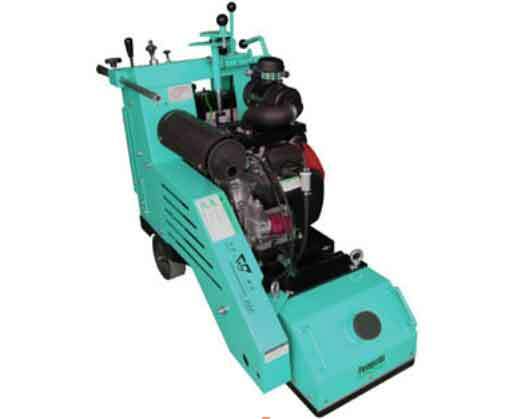 The floor scarifier can make road with low friction coefficient more roughness and safe. 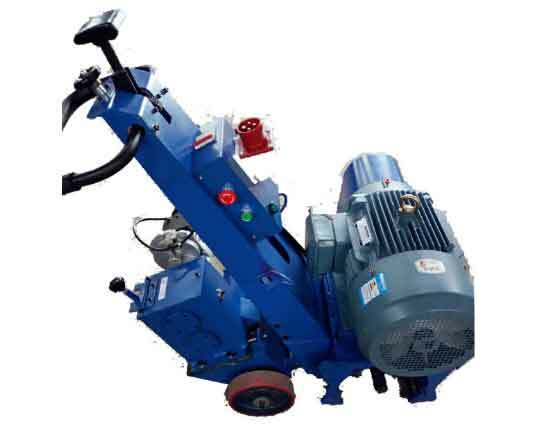 First, the machine should be operated by the professional personnel after they read the operation manual carefully. Proper use can increase the service life of the machine. For safety reasons, all repairs must be carried out by a qualified mechanic. And the spark plug of the engine should be removed before maintenance. 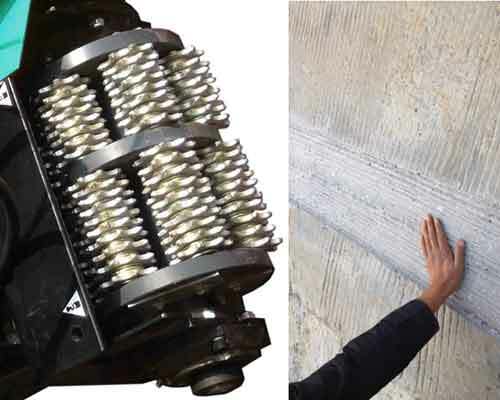 It must be maintained on a flat surface and check the milling cutter to prevent the machine from overturning. Check the oil level before each operation and clean the air filter after use. Check if all fasteners are tightened, whether parts wear or crack. Check the bearing and see if it needs oil. Check the belt tightness before each operation. The new belt should be adjusted after four hours of operation. If the belt has broken mark, serious wear,please replace it with a new one immediately. Proper belt tightness must be maintained. You can adjust the two height adjustment studs under the engine mounting plate and change the center distance between the motor output shaft and the milling drum center shaft to control the belt tightness. Check the milling cutter shaft and shaft lining when the milling cutter alignment is changed. If there is a scuffed groove on the shaft, please change a new one. 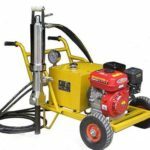 Floor scarifier, as well as floor shot blaster, floor grinder machine and concrete surface roughing machine are the widely used road machinery. 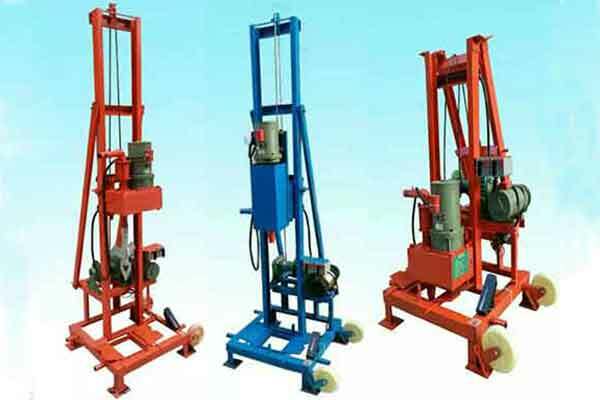 Yugong Machinery can supply you with high quality machinery at a much lower price. Choose the suitable model you want and send us email to tell us more about your requirements, we will send you quotation as soon as possible.